NASM Review  - The Best Personal Training Certification? 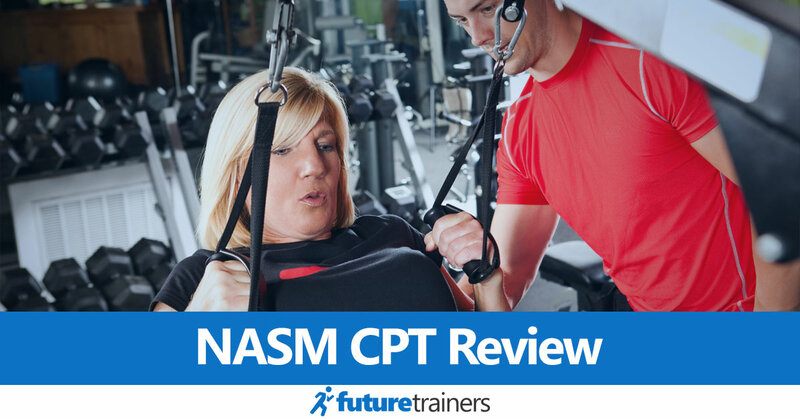 NASM CPT Certification Review – The Most Reputable Personal Trainer Cert? The National Academy of Sports Medicine (NASM) is one of the most popular organizations for gaining a personal training certification. The NASM-CPT program is NCCA-accredited, widely recognized and based on the organization's Optimum Performance Training model. Is this really the "best" personal training certification though? Are there downsides compared to reviews of other certifying organizations? And is it worth the money? Let's find out in our NASM review. What is the Optimum Performance Training (OPT) System? How Long Does it Take to Pass NASM? NASM is a well-respected organization that offers a range of fitness credentials. In the unregulated and confusing world of personal fitness training, they are an established name that trains professionals to attain science-backed credentials. NASM isn't shy about its history and programs either. The official website claims it is the "premier evidence-based certified personal training program" - which is a bold claim! This isn't just marketing talk though. The organization has certified and recertified over 190,000 trainers in the last 10 years. This is an astonishing number - and it continues to grow. NASM is also one of the most well-known certifications in the industry, so it's widely accepted in gyms. Before you take your NASM exam, there are several requirements you need to meet. You'll need a valid CPR and AED certificate from a course with a hands-on assessment. Organizations that provide this include the American Red Cross, St. John Ambulance, American Heart Association and several others. You also need a high school diploma or equivalent. Founded in 1987, NASM has over 20 year's experience providing education to fitness professionals. They certainly aren't a "fly by night" operation, like many that have appeared due to growth in the fitness market. This range of specializations provides plenty of scope for serving different subsets of clients after passing your CPT exam. If you want to enhance your career, pursue a specialty and expand your job opportunities, these advanced credentials are a great way to do so (the specializations allow for training anyone from age 9 to 99). The specializations also count as CEUs. Additionally, there's the option of training as a NASM Master Trainer once you've passed your CPT exam. There are stricter requirements for this program, and it involves a live event with limited dates. If you want to take your credentials to the next level, however, it's worth considering. One thing you'll notice when reading NASM's website or other promotional material is the focus on evidence-based practice. This is the basis of the organization's Optimum Performance Training system, which is designed to improve your client's strength, power and endurance depending on their goals (see the section below for more details). 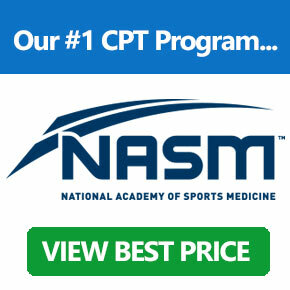 The NASM-CPT exam is NCCA accredited. This is the most widely recognized accreditation for a personal training certification. The organization is also partnered with the Athletics and Fitness Association of America (AFAA) and Premier Global in the UK. To quote NASM, the OPT model "offers an industry-first comprehensive training system based on scientific, evidence-based research." The fitness industry is plagued by anecdotal evidence, poor techniques and models that simply aren't backed by science. This harms the credibility of the entire industry. It also prevents people from reaching their goals as quickly as they should. Stage 1: Stabilization Endurance - This is the basic phase. It's mainly used for de-conditioned clients. The goal is to build a solid foundation, with an emphasis on correcting muscular imbalances, before tackling the next phases. Stage 2: Strength Endurance - Once the client has developed a basic level of stabilization, phase two begins to build strength. Again, the focus is on correcting issues rather than maximizing power. Stage 3, 4 and 5: Hypertrophy, Maximal Strength and Power. - Only when the client has established a foundation in stability and strength does the OPT model start adding moves focused on hypertrophy and power. The integrated system combines plyometric, core, balance, flexibility and reactive training with the standard cardiovascular and resistance training to create a balanced and complete program. In practice, OPT is a repeatable system to help trainers design effective programs for their clients. It's adaptable, so it can be used with a diverse range of clients, and removes the guesswork from program design. It also aims to improve all areas of functional ability, including core stability, balance, flexibility, strength, endurance and power. I'm a big fan of the OPT model - especially for new trainers. When you first get certified, having a system for getting results with almost any client can greatly boost your confidence. Whether a client wants to increase their muscle mass, reduce body fat, gain strength or just improve their overall health, the OPT model can do the job. OPT is also just as suitable for individuals with specific needs as it is for athletes or people who regularly play sports. This brings me to an important point about NASM: it's a well-rounded certification that teaches you how to train the vast majority of the fitness population. This is great for most trainers, but if you want a certification that focuses on the athletic population it may not be the best choice. It's worth remembering that the average American is unfit, sedentary and overweight though, so it's vital to know how to design programs for these people. Many people also spend their day sitting at a computer, which leads to tight hip flexors, poor posture and weakened muscles, which is why NASM spends a lot of time teaching you how to fix these issues. The OPT model isn't all you'll learn though. NASM also teaches the foundational principles behind personal training, such as biomechanics, kinesiology and exercise science. This makes the program harder than some alternatives, but you'll develop an understanding of the material rather than just regurgitating facts. It's important to note that NASM doesn't assume any prior experience with exercise science or kinesiology. While the exam can be tough, you'll be taught everything you need to pass. There are currently four packages available. All include an exam token and core training materials, but higher priced options have more materials, support and perks. Self-Study with Exam ($699). This is the basic package and doesn't provide access to mentors. The self-study program includes the testing exam, text book (hard copy and PDF), lecture videos, cueing library, exercise library, practice exams, quizzes and a study guide, so there is plenty of material to learn from. While the self-study program isn't cheap, it's decent value for a high-quality certification. If you're happy to learn independently, this is probably the best package. Premium Self-Study with Exam ($999). The premium self-study option includes everything in the basic program, plus flashcard bundles, learning activities and an anatomy memorization activity. While these are useful learning materials, I'm not sure they are worth $300 extra. Guided Study with Exam ($1299). In addition to the self-study material, this option comes with exam prep and content webinars. Most importantly, you get access to a mentor and coach, live workshop and discussion questions. If you think you'll need extra support when learning the exam material, this option provides much more interaction and opportunity to get feedback. All-Inclusive ($1999). The All-Inclusive program is NASM's premium CPT option - and it's extremely expensive. In addition to everything in the other programs, you also get a retest voucher and access to the CPT development program. This entitles you to 80 hours of on-site experience with actual clients, along with mentoring and various other perks. 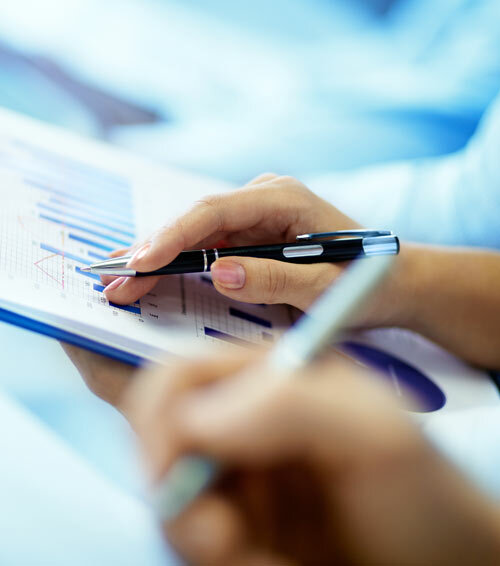 The CPT Development Program provides an opportunity to get real experience and tutoring from experts, which isn't the case with most certifications. The All-Inclusive package also includes a job guarantee: if you're eligible and complete the CPT development program and don't find a job within 90 days, the cost of the Development Program will be refunded. This is difficult to answer, as it depends on your experience and how much time you can dedicate to studying. Some people may pass in two months with lots of hard work, while others will need six months or longer before they are ready. Purchasing a study package with NASM also includes exam entry. This expires after six months, although if you're not ready you can pay a fee to get more time. If you fail, retaking costs $199 unless your package includes a free retake. Once you pass the exam, you should receive your official certificate within 4-6 weeks. NASM also provides a digital certificate which can be accessed within three working days. The core training materials are the textbook and online study library (sometimes called eTeach or NASM app). These provide a solid foundation of knowledge when training the average client, including how to design a program that's suitable for people with common health problems. This is essential when providing personal training services. With that said, it's important to understand that the NASM-CPT certification focuses on the basics of program creation. You won't learn innovative techniques or advanced methods (kettlebell training, spinning etc) - that's saved for the specializations. Instead, you're taught the foundational knowledge required to create effective and safe routines for the average person. I think NASM does an excellent job of teaching the foundations of personal training - and this knowledge will be useful throughout your career. The exam contains 120 multiple-choice questions, but only 100 of these are marked. The other 20 are for NASM's research and don't count towards your score. Each exam lasts two hours and you must get at least 70% to pass. Exams are run by PSIExams, so you need to contact them to schedule your date. You can register online or over the phone. PSI runs a number of exam centers both nationally and internationally, although they tend to be found in large cities. What should you expect from the exam though? And how hard is it? While the NASM test isn't unfairly difficult, and it's not the hardest, it's harder than many certifications. This is a good thing, as it makes the cert more valuable, but make sure you're ready and give yourself plenty of time to study. I can't give any specific tips about the exam, as that would be cheating. You'll need to study everything on the syllabus though - and make sure you understand it, not just memorize facts. Expect questions on all aspects of the syllabus, including assessment, exercise technique, program design, client relationships and nutrition. In particular, make sure you know the function and location of muscles, understand postural imbalances and have a solid knowledge of muscle activations during exercise. I highly recommend taking the practice test, as this is a great way to check whether you're ready (although you can never guarantee the difficulty of the practice test vs real test is exactly the same). There's also the Pocket Prep NASM test app with over 500 practice questions. One thing to note is that NASM doesn't release exam scores. That means if you fail, you won't know how close you were to passing. I wish all certification schools would provide feedback on your results, but this can cause issues with people cheating in their retakes. NASM requires that all personal trainers with their CPT certification are recertified every two years. This costs $99 and you'll need to earn 2.0 CEUs (20 contact hours) during this period, although 0.1 CEUs can be earned from your CPR/AED certification. There's also a "Recert for Life" option which costs $299, although you'll still need to complete the same amount of CEUs. There are a number of ways you can earn CEUs. NASM offers a range specializations, conferences, live workshops, and classroom courses, which count towards your CEU hours. There are NASM-approved courses that are run by third-party organizations, and you can petition a course even if it hasn't been approved yet. You can also earn CEUs from courses completed at college. The amount of CEUs depends on the number of course units, so check with NASM before you start. In terms of CEUs, NASM CPT is less demanding than many certifying bodies. The two-year recertification period costing $99 also isn't too expensive, although there are cheaper options too. Note: If your CPT certification expires, NASM offers a 90 day grace period to earn your CEUs, although there is a late fee for this. If CEUs are completed within these 90 days, you have a year to submit for recertification. If you fail to complete the CEUs within this grace period, you'll need to re-enroll. NASM Vs. ACE - Both are $699 for the standard package. NASM and ACE are two of the best certifications, so the higher prices are expected. NASM Vs. NFPT - $699 compared to $349 for NFPT, but NFPT is not as widely recognized. NASM Vs. NESTA - $699 compared to $477 for the basic package. There's no getting around it: NASM CPT is a relatively expensive school for getting your personal training certification. While the self-study option is $699, which is around the same price as other top certifications, the other programs are amongst the most expensive on the market. There's also no option to trial the material. Even so, if you're self-motivated and excited to learn about fitness, the $699 self-study program is all you need. The fact that NASM is widely recognized and NCCA-accredited also means the price is worth it, as the certification is a great way to start your career. NASM does run the occasional sale or discount. Keep an eye on their website for the best prices. You can also get a referral credit of $100 if you refer a friend. Note: NASM also offers payment plans for some of its courses and certifications. As I mentioned earlier, NASM is one of the most widely recognized certifications. It is accepted by many gyms, so it provides excellent career prospects. Many employers also look for NCCA-accredited certifications even if they don't mention NASM specifically. With that said, some gyms or studios may prefer certifications from other organizations (such as ACE). If you know which gym you want to work at, make sure you check which certifications they accept. In my opinion, NASM is the best personal trainer certification available at the moment - at least for the general fitness population. It's a well-rounded cert that focuses on corrective techniques and building a solid foundation for your clients. The OPT model also means you can work with a diverse range of clients, including sedentary people and athletes. There are a few drawbacks though. It's one of the most expensive certifications, especially if you want the live workshops, access to a mentor or extra training materials. The exam is also relatively difficult - although this isn't really a bad thing. When it comes to employment and career prospects, however, NASM is an excellent choice. While some gyms prefer other certifications, many accept NASM. It's also NCCA-accredited and the organization provides plenty of additional training and specializations.